The state of Kansas is starting to get their first real taste of regulated casino gambling, and that has changed the perspective of some local charities and law enforcement officials. Charities have come under scrutiny for breaking Kansas law by organizing charity poker events. Not everyone in Kansas is happy that the law prohibits charities from raising valuable money for their cause. Among those that are not pleased is Finney County prosecutor John Wheeler, who is responsible for prosecuting these crimes when assigned. Wheeler’s approach towards gambling is similar to the one taken in many states these days. Casinos have become a popular avenue to pursue for state legislature’s that are facing budget shortcomings. Kansas was one of those states several years ago, becoming one of the first in the current group of states that are regulating casinos. The charities have largely been the groups affected negatively by the creation of regulated casinos. Lawmakers and gaming officials have wanted all gaming money to go through the casinos, and many states have started to crack down on illegal charity poker games. It has not even been traditional poker events that have suffered. In Kansas, and around the US, poker runs have become popular for raising money. Motorcycle riders gain sponsors, and then set out on a scavenger hunt of sorts, picking up cards at various locations in the event area. 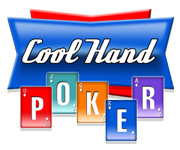 At the end of the run, the bikers meet in one centralized location, and the player with the best poker hand from the cards they collected, is the winner. This event is illegal in Kansas and several other states where charity gambling is considered against the law. Wheeler has plenty of support in Kansas to have the current laws changed, and lawmakers have stated that they may soon look into the issue.